Several years ago, Coca-Cola launched one of their best performing marketing campaigns in Australia. Called "Share a Coke," the company replaced their iconic logo on their products for 150 of the country's most popular names. Consumers loved finding their own names on Coca-Cola bottles, and they loved to share them with people they cared about. It's easy to see why this campaign was so successful. At Burst, you have the option to add names and custom variables to your SMS messages. Custom variables can be anything you want them to be: gender, age, hobby, subscription type, location, purchase date—essentially any selection of data is important for your business. 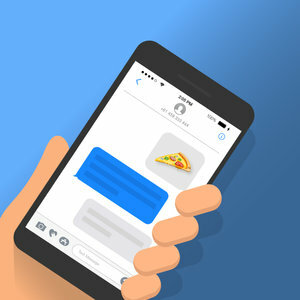 Personalising your SMS messages can help you increase conversions, improve click through rates, and decrease unsubscribes. Here's an example of a personalised SMS campaign. Words between asterisks (*) are variables. Thanks for purchasing the *Rebel Board Game*. Rate your shopping experience. Reply with a number between 1 and 5. Thanks for rating us a perfect 5! Use this code for 25% off your next purchase: HOBBY25 (expires 01/15/18). We hope you shop with us soon! There are two ways to add custom variables. Log in, click on the Contacts tab, and select a list. In this example, we're using My Test List. Click on Upload, select your list and import your list. Click on the drop down on a column and click on New Field to create a new custom variable. Click on the Contacts Tab, select My Test List and then click on Custom Fields. Add up to 10 custom fields in the available areas. Click on update to proceed. You'll need to manually add information to the custom variable for each contact individually. Click on Send SMS tab, select a Contact List, then select a personalisation option. Custom variables will appear here. As SMS messages are sent, the custom variable will change according to the recipient. And that's it. Please contact us if you have any questions or feedback.